Click the "Sign in with Twitter" button above to get started with twXplorer. 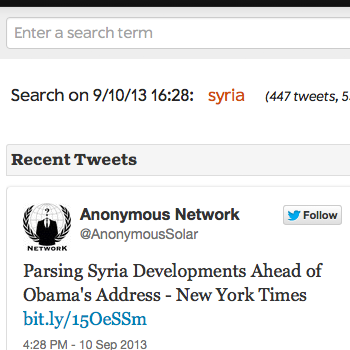 Once logged in, you can enter search terms to see a snapshot of related activity in the latest 500 tweets. 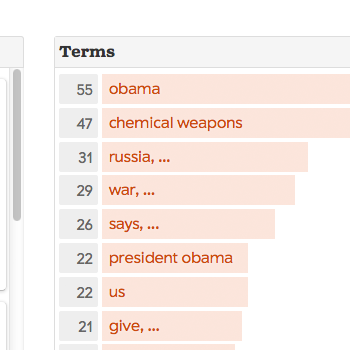 TwXplorer will break down the most common terms, hashtags, and links for you to filter and drill down further. 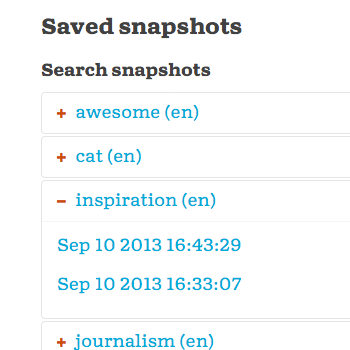 View popular terms, hashtags and links found in your searches. Save snapshots for later viewing.